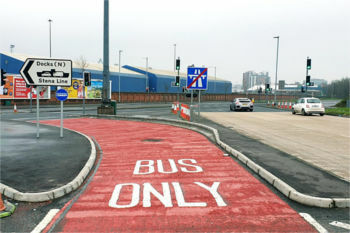 Roads Minister Danny Kennedy has announced the start of a £105,000 resurfacing scheme in Magherafelt, Northern Ireland. Transport Minister Danny Kennedy says that roads schemes across Northern Ireland must be prioritised due to limited funding. Transport Minister Danny Kennedy has announced a £950,000 investment in the roads network in Armagh, Northern Ireland. Regional Development Minister Danny Kennedy has set out Roads Service’s progress on investment totalling £12.6 million for road improvement and maintenance schemes in the Belfast City Council area this year. Danny Kennedy has launched the Roads Service winter service programme in Northern Ireland. Dynapac has appointed WAC McCandless as sole distributor for its road construction equipment in Northern Ireland. Transport Minister Danny Kennedy has announced the start of advanced works on the £65 million A26 dualling scheme in Northern Ireland. Transport Minister Danny Kennedy has announced that £20 million will be allocated to road maintenance in Northern Ireland. The Northern Ireland Assembly has confirmed a £500m investment in improving its road network. Transport Minister Danny Kennedy has praised staff and contractors for the successful completion of road schemes in 2013/14 which accounted for a £7 million investment in the roads infrastructure in the Craigavon area in Northern Ireland. Transport Minister Danny Kennedy has announced the appointment of consortium BAM/McCann as construction contractors for the A26 dualling project in Northern Ireland. Transport Minister Danny Kennedy has warned that the Department for Regional Development (DRD) does not have enough money to carry out basic services like the repair of potholes and traffic lights. Up to 20,000 LED street lights will be installed at a cost of £6 million in Northern Ireland. Northern Ireland's Transport Minister Danny Kennedy has announced that new measures to reduce the number of drivers illegally using bus lanes will come into force in June. A Graham/Farrans joint venture has been awarded a contract to dual the A6 from Randalstown to Castledawson in Northern Ireland. Transport Minister Danny Kennedy has expressed his concern over £60 million cuts to the Department for Regional Development (DRD) in 2015/16, more than half of which will fall to TransportNI. 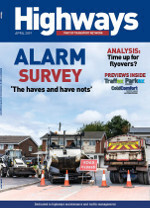 The Quarry Products Association Northern Ireland (QPANI) has warned that the country’s road maintenance industry is facing an unprecedented crisis due to political impasse. Transport Minister Danny Kennedy has announced a £4 million funding extension for road resurfacing in Northern Ireland. Transport Minister Michelle McIlveen has officially opened the Northern Ireland Executive and EU funded £50 million A2 Shore Road Greenisland dual carriageway. Work on the £35 million Magherafelt bypass in Northern Ireland is progressing well. 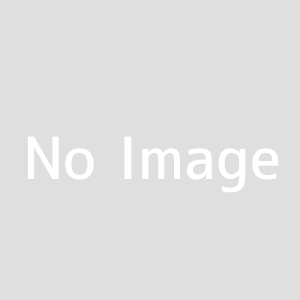 Transport Minister Michelle McIlveen has announced the start of consultations for the A5 Western Transport Corridor dual carriageway scheme in Northern Ireland. 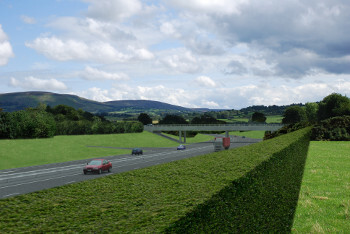 Transport Minister Michelle McIlveen has confirmed that the £400 million A6 Londonderry to Dungiven dualling scheme in Northern Ireland will proceed, subject to future funding. Infrastructure Minister Chris Hazzard is committed to delivering the A5 and A6 road improvement projects in Northern Ireland. Infrastructure Minister Chris Hazzard has announced that he is making available £5 million to enhance road maintenance in Northern Ireland. Infrastructure Minister Chris Hazzard has confirmed an investment of £18.8 million on road schemes in the Mid-Ulster Council area during the 2015/16 financial year. Almost £1 million will be spent on resurfacing the A8 Ballynure Road in Newtownabbey, Northern Ireland. Infrastructure Minister Chris Hazzard has officially opened the £35 million A31 Magherafelt bypass in Northern Ireland. Northern Ireland's Infrastructure Minister Chris Hazzard has announced the start of a £500,000 road widening and improvement scheme at A4 Dublin Road /A32 Wickham Place, Enniskillen. The Freight Transport Association (FTA) says the postponement of a road improvement scheme in the centre of Belfast following the Brexit vote is bad news for transport operators and the economy there. Northern Ireland Infrastructure Minister Chris Hazzard has given the green light to 1,000 kilometres of greenways – traffic free paths that can be used by walkers, runners and cyclists. Work to upgrade the A6 in Northern Ireland has been delayed following a judgement hearing at Belfast High Court earlier this week. Northern Ireland's Department for Infrastructure (DfI) has appointed a contractor for the £220m A6 Dungiven to Drumahoe Dualling scheme. 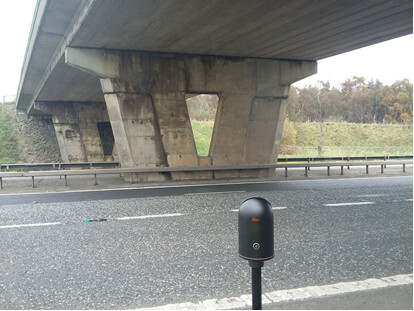 Amey Roads NI has used scanning technology to complete surveys of bridges on Northern Ireland’s strategic road network, saving money and time, and keeping roadworkers safe.